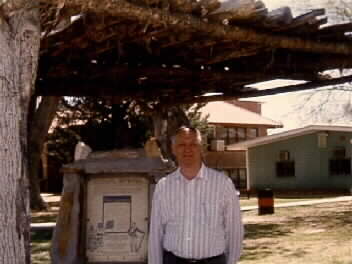 This monument was placed at Bowie High School (Arizona) by descendants of the Chiricahua Apaches who surrendered with Geronimo in 1886. The monument was built by these descendants in 1986 and is a fitting memorial to their ancestors. Yes, that is me standing next to it!